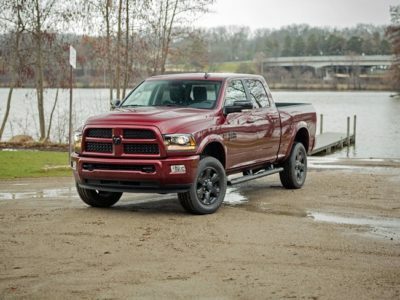 The Ram 1500 full-size pickup truck is in the fifth generation. Debuted at the NAIAS 2018, the new series introduced many changes. Ram is growing fast. After updates for the next season, it will get closer to Chevy Silverado as the second best-selling model in its class in the US. Untouchable, Ford F-150 could reach 1 million of sold units next season. Ram 1500 and Silverado combined are still short. 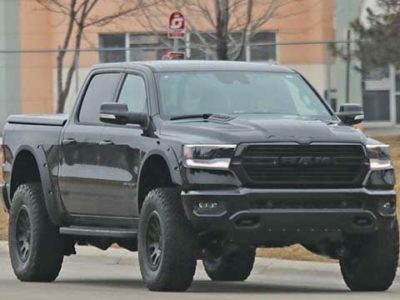 But, with the appetite the FCA is showing, the 2020 Ram 1500 will be the serious competitor. At the mentioned show, Ram surprised all with the premiere of a diesel engine. The truck was also a star during Super Bowl’s half-time show. So, a lot of effort is put into ads, and it could start to pay off with 2020 Ram 1500. The new pickup will add only cosmetic changes compared to the 2019 year (new generation) model. But, some features could be added for existing trim levels. New, special edition is always cool. Finally, the hybrid model is under a serious revisit. Now, it is about to get a serious electric support instead of a mild-hybrid engine. With the new generation still being fresh on the market, we can’t expect huge things from 2020 Ram 1500. Well, until its debut comes, the company will have first feedbacks from buyers and drivers. These will help in the development of the next truck. Solving first issues will be the priority. Ram 1500 is well-known for its trim levels and options. The new, fifth-generation uses only six models, compared to 11 trim levels the previous series offered in 2018. There are no doubts the 2020 Ram 1500 will add something to its lineup. Will there be a limited edition or a new trim that will be available until we see the next-gen truck, we will see. One of the limited-time offers is already out – Kentucky Derby edition. The FCA is not going to stop there. The entry-level truck will be again Tradesman. The Regular cab is still not in the offer, but buyers will get this version as soon as Chrysler starts production of it in a new plant. On the other hand, the making of Crew and Quad Cab are happening at the same place – Warren plants. These three cab configurations will be available for most of the lineup. The 2019 year model will offer it, so don’t worry about 2020 Ram 1500. The next trim level is Big Horn. It adds larger wheels and chrome grille compared to the base pickup. Also, leather-wrapped steering wheel and fog lamps are some things the Tradesman is not going to offer. 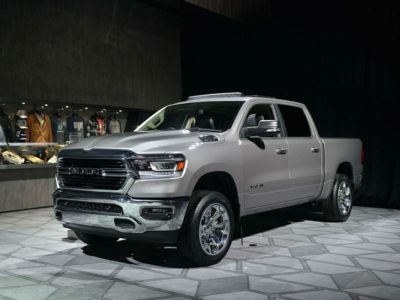 The 2020 Ram 1500 Laramie is a mid-range model, and probably the most interesting one. It has plenty of features, but still don’t cost too much. Everything is larger there. Driver information display and infotainment screen are more transparent. A 12-inch display is optional, while 8.4-inch is standard. Leather seats are offering heating and ventilation. Ram Rebel is a truck you will love to have if you are a fan of off-road adventures. Laramie Longhorn and Limited trucks are a premium sections that cost over $50,000. A 12-inch screen is a standard, as well as Android Auto and Apple CarPlay. The premium audio system inside and huge 20-inch wheels outside, are highlights of the most expensive pickup in the lineup. 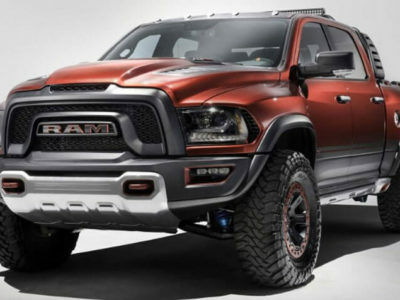 Ram Rebel TRX is a concept that should be a rival to Ford F-150 Raptor. During the previous few years, this truck evolved into a beast. The final version will pack a 707 hp rated Hellcat engine. These are not rumors any more since the truck was spotted testing. Also, Ram gave us hints during the debut of the fifth-generation at Detroit Auto Show (7:07 time at the display). Now, with test mules out there, beware Ford Raptor. Hellcat engine is a top drivetrain for FCA vehicles. Only special versions from FCA will get it (Jeep Grand Cherokee, Dodge Challenger, Dodge Durango, and 2020 Ram 1500). A 6.2-liter supercharged V8 can produce 707 hp and 650 lb-ft of torque. The standard offer includes a 3.6-liter V6 Pentastar unit. For all FCA vehicles, this engine can produce 305 hp and 270 lb-ft of torque. An eight-speed automatic transmission is a power router for this mill. A Pentastar engine will also serve as the petrol base for a hybrid engine. There is also a 5.7-liter V8 powertrain in the offer with 395 hp and 410 lb-ft. It is a reliable and durable unit, but Ram needs more options to compete with a wider offer for Ford F-150. Next year we will see the new 2020 Ram 1500 Diesel. An EcoDiesel engine will be ready to produce 250 hp and 440 lb-ft of torque, matching output from its main rivals. 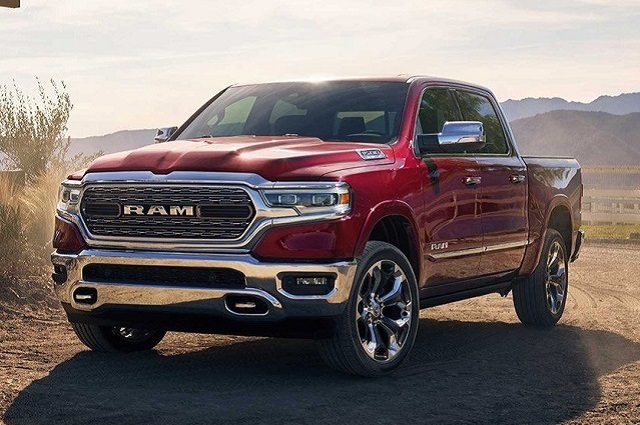 With a diesel engine, 2020 Ram 1500 will be able to tow up to 8,500 pounds. 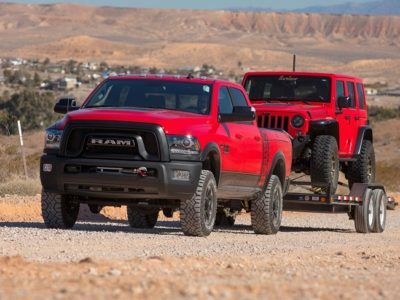 A V8 Hemi unit boosts towing capacity to 10,600 pounds. 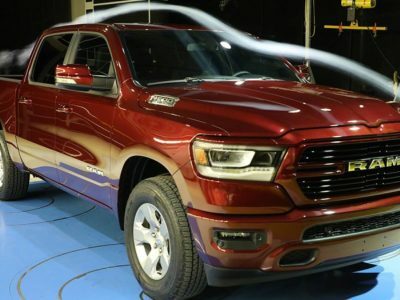 The base model of 2020 Ram 1500 will cost the same as the current edition. Starting from $32,000 this truck can get upgrades that will make its price go up to $60,000. The new Rebel TRX could go even higher, packed with supercharged Hellcat engine.